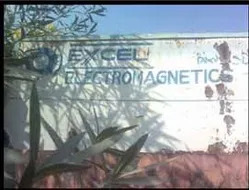 Excel Electromagnetics is a leading company, specialized in the manufacturing, importing, trading and exporting an assortment of Industrial Clutches & Brakes from Udaipur, Rajasthatn (India) that finds their extensive application in the industry. The wide collection of products that we bring forth consists of Electromagnetic Clutch, Electromagnetic Brakes, Clutch Brake Combination, Brake Motor, Brake Rectifier, Ac Disc Brake, Dc Fail Safe Brake, Ac Fail Safe Brake, Bearing Mounted Clutch, Shaft Mounted Clutch, Single Disc Clutch, Dry Type Clutch, Spring Loaded Fail Safe Brake, Flange Mounted Brake, Flange Mounted Clutch, Open Type Combination and Double Clutch. The entire range of manufacturing process is taken up under the efficient supervision of our team of professionals who holds expertise in this line of production. The various quality aspects such as quality of manufacturing, durability, enhanced functioning etc. are accurately tested by our team of Quality controllers that helps us in keeping up quality in our range supplied to our customers. In our effort to cater to the quality demanding customers, we endeavour to procure all the required raw materials for manufacturing our wide range of Clutches and Brakes only from certified suppliers of raw materials in the market. Our Procurement agents check the quality of the raw materials, prior to making the purchase from suppliers. The wide network of vendors makes possible for us to access the needed raw materials, in order to ensure a smooth and hassle free manufacturing process. We hold a policy of maintaining total transparency and follow business ethics in our functioning that have assisted us to a great level to establish an unwavering place in this domain of industry. Moreover, we are on a constant watch on the market trends and make our sincere efforts to access the latest technological developments in our range of industrial Clutches and Brakes that are well accepted by our customers. Manufacturing and Trading of Industrial Cluthes and Brakes. We manufacture and deliver a wide array of Industrial Clutches and Brakes from Udaipur, Rajasthan (India) that is extensively made use of in various industries. Our broad range encompasses Electromagnetic Clutch, Electromagnetic Brakes, Clutch Brake Combination, Brake Motor, Brake Rectifier, Ac Disc Brake, Dc Fail Safe Brake, Ac Fail Safe Brake, Bearing Mounted Clutch, Shaft Mounted Clutch, Single Disc Clutch, Dry Type Clutch, Spring Loaded Fail Safe Brake, Flange Mounted Brake, Flange Mounted Clutch, Open Type Combination and Double Clutch. We produce our range of products by making use of superior quality raw materials that are purchased from certified vendors in the industry, in order to make sure that we deliver only defect free products to our clients. We are an eminent company from Udaipur, Rajasthan(India) involved in the manufacture, export and supply of a large number of products like Electromagnetic Clutch, Electromagnetic Brakes, Clutch Brake Combination, Brake Motor, Brake Rectifier, Ac Disc Brake, Dc Fail Safe Brake, Ac Fail Safe Brake, Bearing Mounted Clutch, Shaft Mounted Clutch, Single Disc Clutch, Dry Type Clutch, Spring Loaded Fail Safe Brake, Flange Mounted Brake, Flange Mounted Clutch, Open Type Combination and Double Clutch to our customers in the domestic and international market. 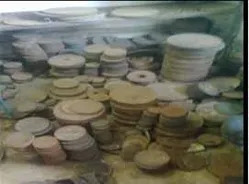 Our broad collection of products is widely used in various industries such as tyre industry, packaging industry, textile industry etc in an efficient manner. The pivotal force of our successful functioning in this domain of production is our highly skilled team of professionals. Our team of technical staff comprehends the specific needs of our clients and extends the products accordingly. The Procurement of raw materials and quality testing of the finished products are the two important items in the whole manufacturing process. To achieve this, we have employed a team of Procurement Agents and Quality Analysts, who attend to these duties in an efficient manner. Moreover; we have adequate staff to look after logistics and transportation needs of products, warehouse supervisors and sales & marketing personnel. We give necessary exposure to our staff on the modern technological developments happening in the industry field through imparting several training programmes. 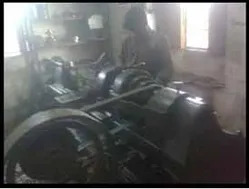 Manufacturing and trading industrial clutches and brakes like electromagnetic clutch, double clutch combination, electromagnetic brakes, clutches and rectifiers. On time supply of products.